Good start Junqueboi. These blogs have some potential. I hope we can keep them active as the year progresses. I spent many hours reading all Alex’s posts and it got me stoked (well, stoked as I could ever be) about doing what he did. The comments some of his followers left him seemed to keep the fire lit and he mentioned several times how much it kept him motivated. 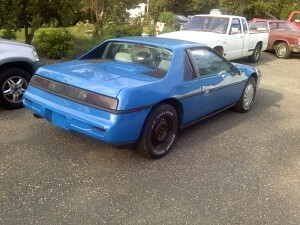 Another with a Fiero for a daily driver! Mine is an 88GT. Prior to that I had an 88 with an Iron Duke. Both are zero for power but great for what they do, getting us to work and back economically. Thanks Critter! This one’s been behaving pretty well lately although the automatic really saps the fun-factor. And you know the transmission will be the longest lasting part of the car just because! Next Next post: Dear Diary…….